Location: On the A4086 (Llanberis by-pass) north of the Afon Goch. Notes: Padarn Halt was opened by the London Midland & Scottish Railway (LMS) on 21 November1936 and was situated on the Caernarfon and Llanberis branch which had opened on 1 July 1869. Padarn Halt was close to the centre of Llanberis on its northern side on the south-western shore of Llyn (Lake) Padarn. 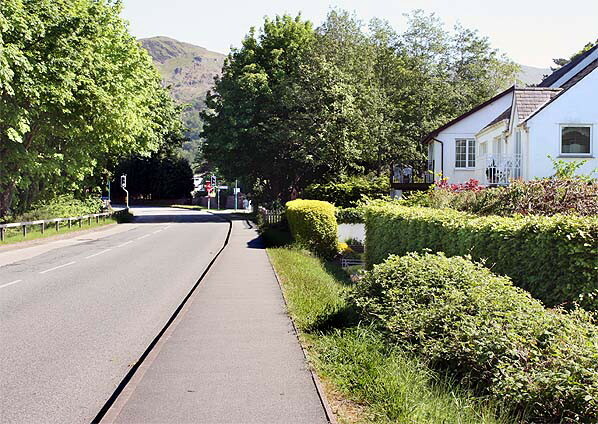 It was less than half-a-mile north of Llanberis station, the line’s terminus. Regular passenger services had operated between Caernarfon and Llanberis from the day that line opened until 22 September 1930, when they were withdrawn by the LMS. Since April 1897 when the Snowdon Mountain Railway (SMR) had opened, regular excursion services had operated on the line, and they continued to do so after 22 September 1930. Padarn Halt was opened to service a Saturdays-only service that ran between the halt (rather than Llanberis station) and Caernarfon to enable Llanberis residents to visit the Caernarfon Saturday market. The service was actually introduced a few years earlier on 29 December 1934 running to Llanberis station. 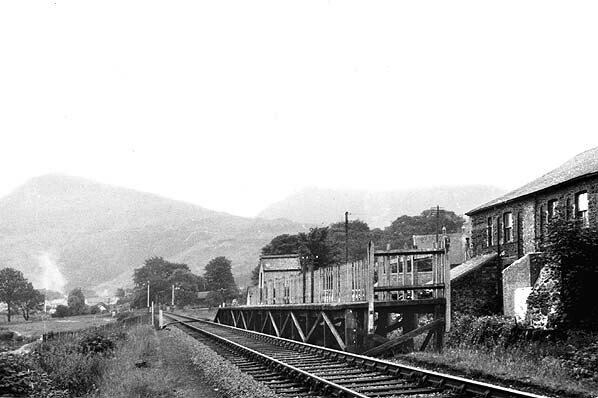 There was strong competition from local buses, and Llanberis station was not central to the village although it was well situated for the SMR. For this reason the LMS felt that the new facility which might stand more of a chance against the buses was required. The Llanberis branch was a single-track line so Padarn was provided with only one platform, on the south-west side of the line. The platform was a short timber structure. Towards the south-eastern end of the platform there was a small timber shelter. There were no run-around facilities at Padarn Halt so push-and pull-trains were used. The Saturday service ran until 12 September 1939 when it was withdrawn due to the commencement of the Second World War (on 3 September 1939). When the war was over excursion trains returned to Llanberis, but the market day service between Padarn Halt and Caernarfon did not. The halt remained in situ until the early 1960s. The line closed to all traffic on 7 September 1964 and was lifted during the early months of 1965. 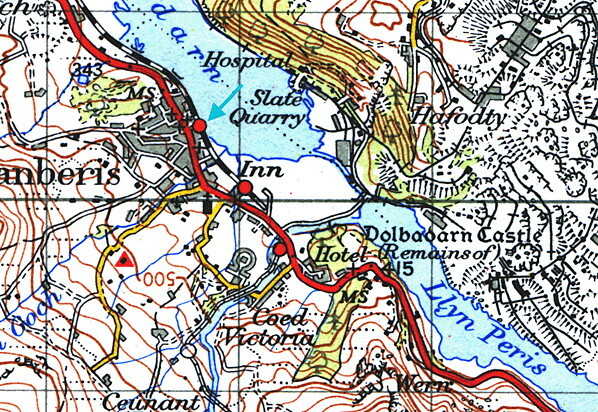 In 1973 a bypass was built along the course of the line through the site of Padarn Halt. Padarn Halt looking south in June 1956. 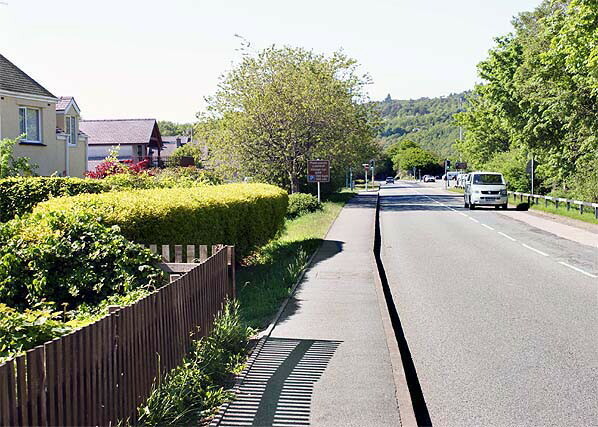 Looking north at the site of Padarn Halt on 25 May 2012. Looking south at the site of Padarn Halt on 25 May 2012. The site of Padarn Halt looking north on 25 May 2012.